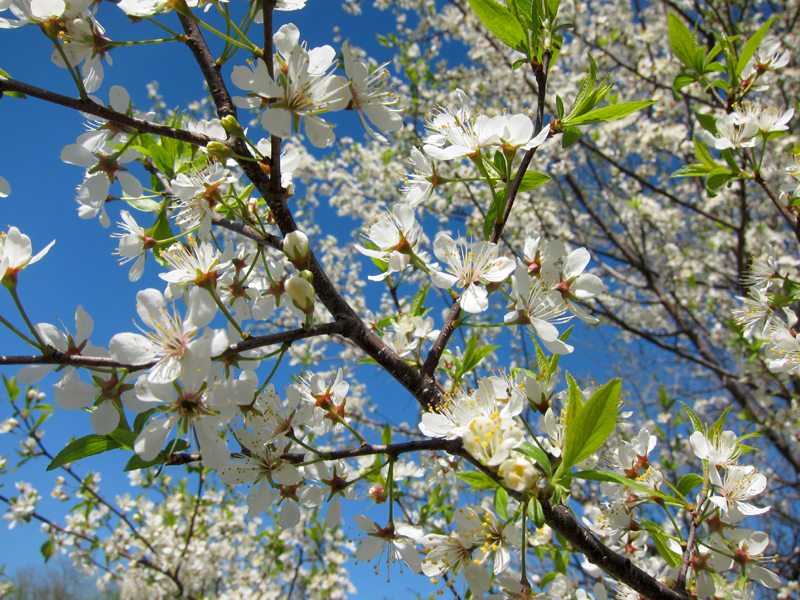 The wild plum bloom was about as spectacular as I can remember. The trees and bushes where loaded down with bloom, and the fragrance was heavy in the air. The unfortunate part is the few days the bloom lasts before it fades away. I was checking out a wild plum to see what types of pollinators were visiting, and that’s when a humming bird came shooting in to visit the flowers. The tree was also loaded with honey bees, and wild pollinators. This is why I enjoy country living, being aware of the constant change in seasons and the enjoyment it brings.